Vietnamese food without this dressing/sauce is like Luke Skywalker without a lightsabre: lame! It’s a vital and versatile condiment that can be used in many ways. You’ll find this sauce served in every Vietnamese restaurant worldwide. It’s especially great with the recipes on Day 13: Old Saigon Spring Rolls, Day 28: Squidgy’s Patties, and Day 6: Smoking La Lot Beef Wraps. OR just use as a dressing to spice up any salad. Some people (mentioning no names) have been known to eat plain boiled rice covered with this sauce alone! Here’s a quick video showing you how to make this fabulous sauce! Add sugar into a bowl and add then warm water. Stir to dissolve. Squeeze the juice from three lemons (remove pips) and pour into the mortar. Pour and stir the contents of the mortar into the dissolved sugar water. Add and stir the fish sauce to the mixture. Taste the dressing. It should be a nice balance of salt, sweet, sour and spice. Serve immediately or keep refrigerated for up to 3 days. 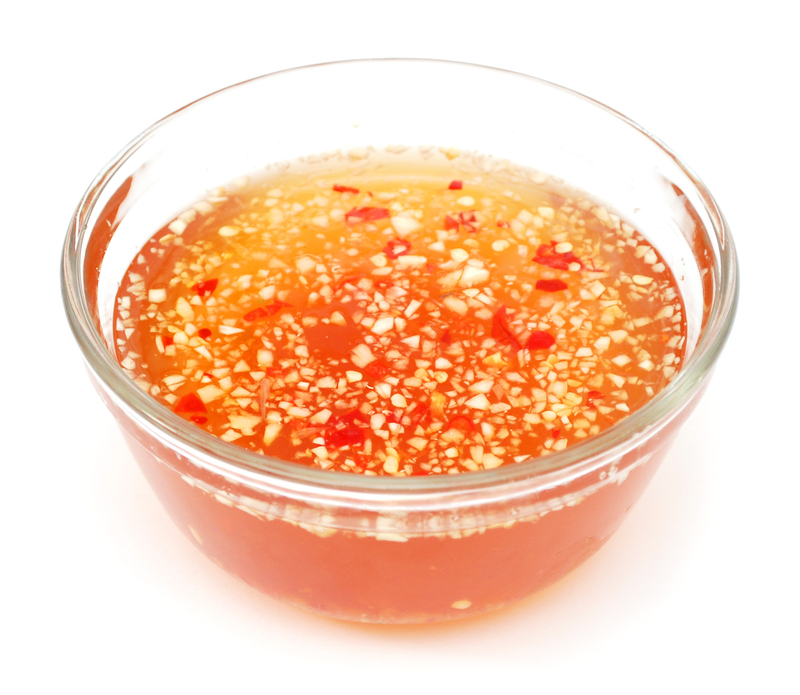 This dressing can be adjusted to suit your own taste by adding more lemon, fish sauce, garlic and chilli. For Vegetarians, fish sauce can be replaced with salt or light soy sauce. In Step 2, the garlic and chilli must be ground into a very fine paste, so a little elbow grease is needed. At least 10 minutes of constant pounding! For the lazy—for heaven’s sake, when adjusting the taste of the dressing do not use the same spoon once it been in your mouth! Previous Previous post: Squeezed from a bean!